What is the definition of the term "drawing dead"? 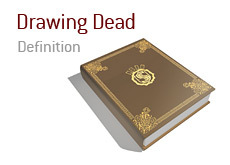 What does the term "drawing dead" mean? If you are "drawing dead" in a hand, no matter which cards are yet to be dealt, you have a 0% chance of winning the hand. You have the button and the action is folded around to you. You are dealt 7s-7h and decide to raise. The small blind folds, and the big blind makes the call. The flop comes 8d-9d-6d. The BB checks, you bet and the BB calls. The turn brings the 7c. The BB checks again, you decide to push all-in with your set of sevens, and the BB insta-calls and flips over 7d-10d for the straight flush. You were "drawing dead" in the hand after the flop was dealt. No matter what the turn and river brought, you had a 0% chance of winning the hand, as your opponent's straight flush was unbeatable. You have the button and action is folded to you. You are dealt Ac-Kc and make a standard raise. The SB calls, while the BB folds. The flop comes 2c-4c-7h, giving you the nut flush draw. The SB checks, you bet, and the SB makes the call. 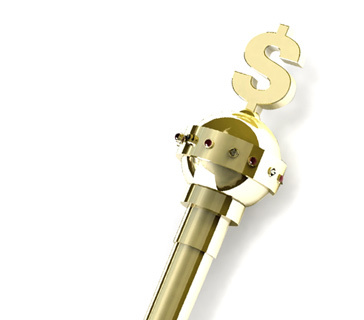 The turn brings the 9c, giving you the flush. The SB pushes all-in, and you make the call. The SB flips over 3c-8c for a flush, while you turn over Ac-Kc for your superior flush. Your opponent is "drawing dead" after the turn, as there is no card in the deck that would give your opponent a better hand than yours. In this hand, Phil Ivey flops Quad Kings and his opponent, Jerry Fitt, is drawing dead after the flop. No matter what the turn and river cards bring, Jerry Fitt can not win the pot, and is "drawing dead".